The following appeared in Horse Racing Nation’s website this week. Greyvitos is a 3 year old Virginia-bred colt who has won $319,345 from six career starts. He was bred by Audley Farm Equine and is by Malibu Moon out of Snow Top Mountain by Najran. There was no dirt to shovel in the asphalt expanse of the old Kmart parking lot, so representatives from Colonial Downs and the city of Richmond did the next best thing. Stephanie Nixon, long time Board member of both the Virginia Thoroughbred Association and Virginia Horsemen’s Benevolent & Protective Association, has been appointed by Governor Ralph Northam to serve on the Virginia Racing Commission effective November 2nd. She will replace the vacant Commissioner’s seat previously held by Dr. Charles Steger, who passed away on May 6th. Accountable wore down front running favorite Jump Ship at the head of the stretch, then went on to a 1 1/4 length triumph in the $35,000 Old Dominion Turf Championship October 27th at Great Meadow. The 4-year-old Cosa Vera gelding captured the same 1 1/4 mile fall Championship race a year ago in dramatic come from behind fashion. Accountable drives for the finish in the October 27th Old Dominion Turf Championship. Photo courtesy of Douglas Lees. STALLION AUCTION SCHEDULED FOR TUESDAY, FEBRUARY 12TH, 10:00 A.M. – 8:00 P.M. Looking for great deals on seasons for your 2019 matings? Be sure to participate in the VTA’s annual stallion season auction, held February 12th and 13th. It’s worth the wait, the VTA has the most comprehensive list of NG seasons around. Make sure to check the stallion listings frequently as the list is updated daily through February 12th. 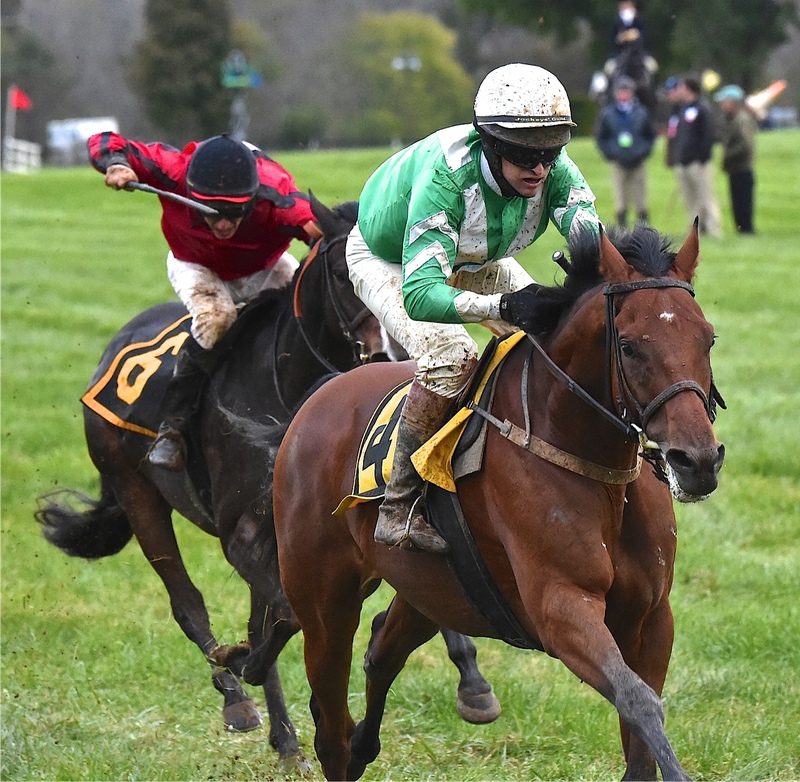 A well-matched field of nine will line up for Saturday’s $40,000 Noel Laing Handicap, the featured race of the 84th annual Montpelier Hunt Races in Virginia. The race meet on the grounds of James and Dolley Madison’s historic home will kick off with a 12:30 p.m. post time.